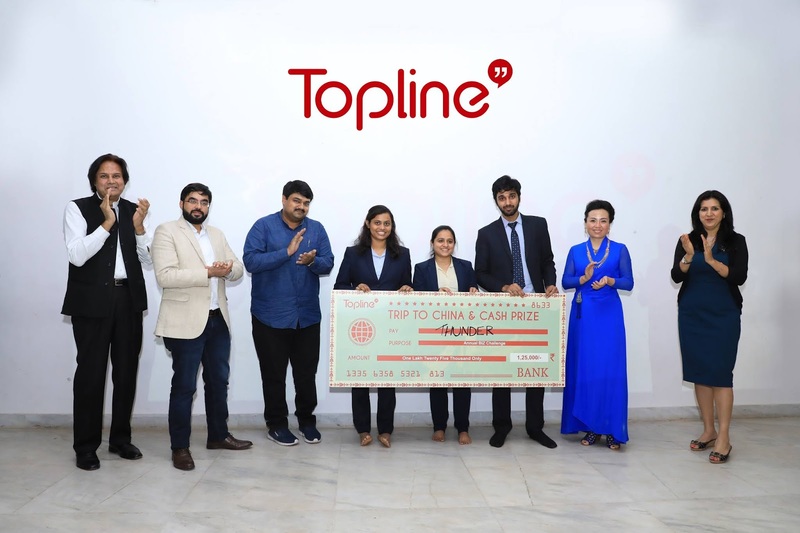 Topline Consulting, a China-based strategic communications firm which opened their first international operation in Gurgaon and subsequently in the short span of four months opened offices in Mumbai and Bangalore, launched their flagship case competition - Annual Biz Challenge 2018 in association with MICA’s annual marketing festival - MICANVAS. Mr. Michael Song, Chairman, and Founder of Topline Consulting Group said: “Topline is a young company which is for the youth, by the youth, of the youth. It believes that the youth have immense untapped potential, which needs to be channeled in the right direction.” Mr. Song also added that it was for strategic reasons that they selected a global brand for their first case study competition as the brand had recently entered India in a major way. The jury in the competition specifically looked for the nuances attached to the brand as perceived by young people in India. The Annual Biz Challenge 2018 went live on the Dare2Compete platform, which hosts competitions for Management Schools across India. The case study competition was a chance for management students to tackle a live case of a global smart device brand in India. MICA is the Premier Management School for Marketing, Communication, and Creativity in a design-driven and the digitally enabled world, and its Mission is to develop empathetic leaders and thinkers who are creative and adaptive problem-solvers for a rapidly changing world. The Annual Biz Challenge saw a record participation of 1188 student for the first round. The teams that cleared the first two rounds were invited to the campus for subsequent elimination rounds that were followed by the grand finale. The team from Shailesh J. Mehta School of Management, IIT Mumbai bagged the first place and were declared the winners. They were awarded a cash prize of INR 125,000 along with an all-expenses paid three night trip to Beijing, China to visit and interact with the management at Topline Headquarters. TopView – a knowledge sharing platform by the Topline Group, that aims at empowering the youth of today with the information they want to read and hear, was also unveiled on this occasion. The first set of courses on the platform are being created in association with MICA. The platform aims at reaching out to everyone, who has the will and the wish to learn. The courses are designed for busy people. No course is longer than 30 minutes, which gives the reader ample time to process and absorb the information.